How to Reduce your PC Hard Disk Temperature? Home » Hardware • How to Guides » How to Reduce your PC Hard Disk Temperature? Hard Disk or Hard Drive is one of the most important components of your Computer. Without it you cannot operate your computer because it is the place where all your data is stored including your operating system files. 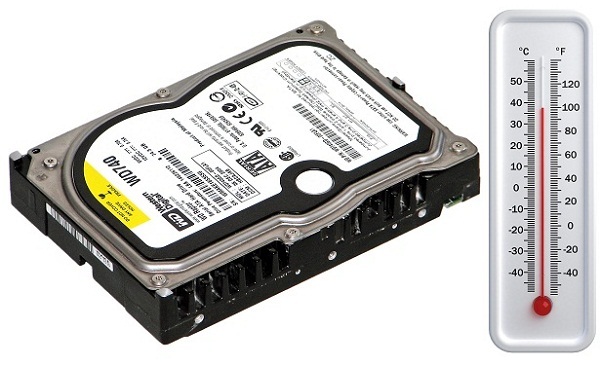 Hard Drives can get hot due to constant activity and high ambient or atmospheric temperature. They must remain cool for their proper functioning otherwise they will get crashed resulting in hard drive failure and loss of your precious data. In hot summer days you should always monitor your hard drive temperature to see that its temperature remains in the safe range. 2 What is the Normal Hard Disk Temperature? What is the Normal Hard Disk Temperature? Normal or I would say the Ideal hard disk temperature should be in between 30°C to 40°C. Temperature ranging from 41°C to 50°C is also acceptable but anything over 50°C is too hot, where you should have to worry about and take necessary measures to keep it down. Here are some useful tips that can help you to lower your hard disk temperature. If you have only one hard disk in your system then install it in the middle HDD bay of your cabinet. This allows more room for your hard disk to breate and it helps in greater dissipation of heat. But if you have more than one hard drives then maintain a proper gap between them in your pc cabinet. Hard Disk coolers are pretty good in reducing your hard disk temperature effectively. They can reduce your hard disk temperature to up to 7°C – 8°C. The only disadvantage is that they need one or two 4-pin molex power connector from your power supply, so make sure that you have good enough smps to support them. They can cost from Rs. 300 – 500/- ($8 – $9) depending on the brand or company. You can find good hard disk coolers from Deepcool at Rs. 490/- having dual 60 mm fans. Always clean your cabinet from inside in 3-4 months time. The components inside the cabinet gets covered up in dust over the time and this can result in temperature increase because dust is a poor conductor of heat. For laptops just use the laptop coolers available in the market and always keep your laptop on hard surface. Is my SMPS support Hard Disk Coolers? Is this effect on the temperature. the problem occurred since last month. There is no such requirement for hard disk coolers as they mostly work with 4pin molex connector. 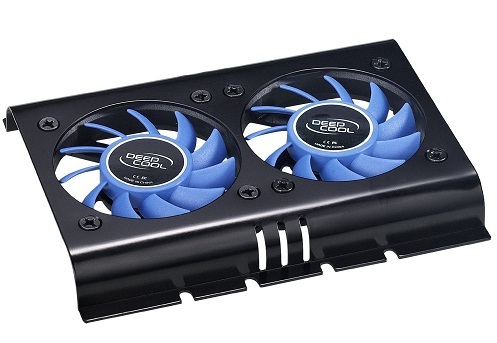 You can also try to increase the airflow inside your case by installing more case fans.